Undergraduate student Aldo Gonzalez shares his experiences studying abroad at NYU London. Hello, Stern family! I am bidding a good day from the British Isles. My name is Aldo, and I am a sophomore studying abroad at NYU in London for the Fall 2017 semester. I am majoring in Business & Political Economy (BPE) with a minor in Public Policy & Management. An essential component of the BPE curriculum is study abroad. 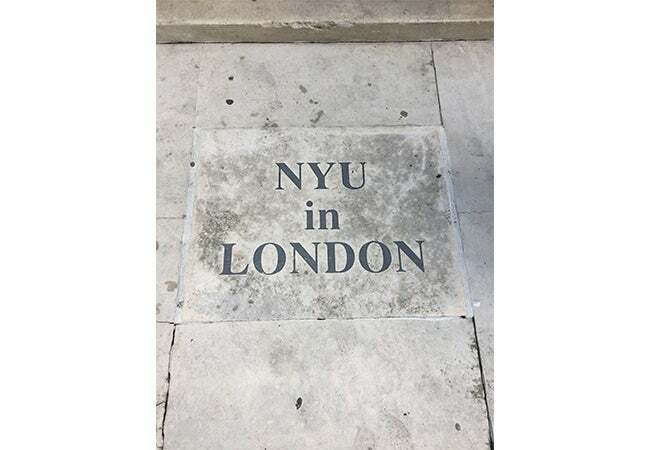 As a result, I will experience NYU through different environments in London, Shanghai and Washington D.C. throughout my four years as a proud member of the NYU Stern family. However, the first stop and the focus of these next few blogs is the vibrant capital of the United Kingdom, London. My journey to London began a week earlier than my peers. As a student worker at the student hub in NYU London’s Bedford Square academic center, I socialized with the dedicated NYU London staff. Registration period after registration period, London continues to be one of the most popular study abroad sites and it is easy to see why with such passionate staff members ready to tend to all of your needs. Whether you need some advice from Julia at the student hub or a weekend trip recommendation from Tony, rest assured that your questions and concerns are a priority. Due to my early arrival, I was temporarily placed at Byron Court in Bloomsbury before moving into my permanent residence for the semester, Urbanest in King’s Cross. Both residences are beautiful and comfortable. Both are equipped with kitchens and kitchen supplies as well as bedding essentials such as pillows, sheets, etc. Byron Court is about a 15-minute walk from Bedford Square, the main academic center, while Urbanest lies at an initially daunting 35-minute walk or 30-minute bus ride. The notion of being separated from campus by a half-hour walk is discouraging, especially if you have a couple of early morning classes. Nevertheless, the walk to the academic center proves to be a scenic route that embodies the most gorgeous elements of life in London. Additionally, Urbanest wields a few features of comfort that might overshadow the long walk to campus. Urbanest has private rooms with private bathrooms for each resident. The kitchen is shared by everyone in the flat which ranges from four to eight residents. 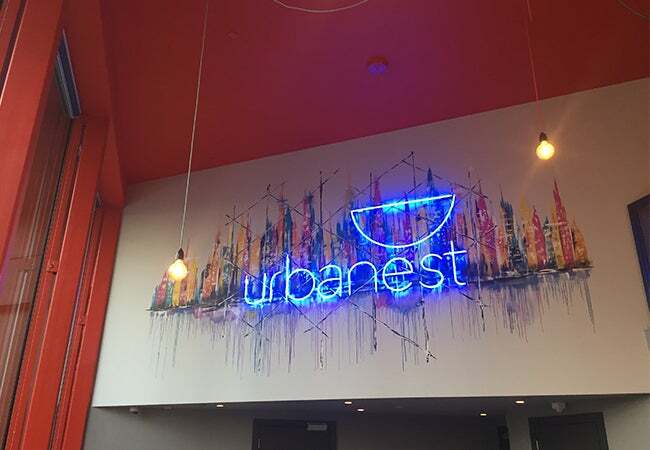 Urbanest also provides a weekly cleaning service for the entirety of your flat. Just this month, an in-house resident serving burgers, sandwiches, coffee, and other delicious things to fuel your studies opened on the ground floor. Urbanest is also located in King’s Cross’ Canal Reach, an area experiencing a revitalization with youthful business development and community engagement. Just this month, Canal Reach’s designjunction concluded: a week-long event with art displays, fashion shows, and enticing food stands placed throughout your Urbanest neighborhood. 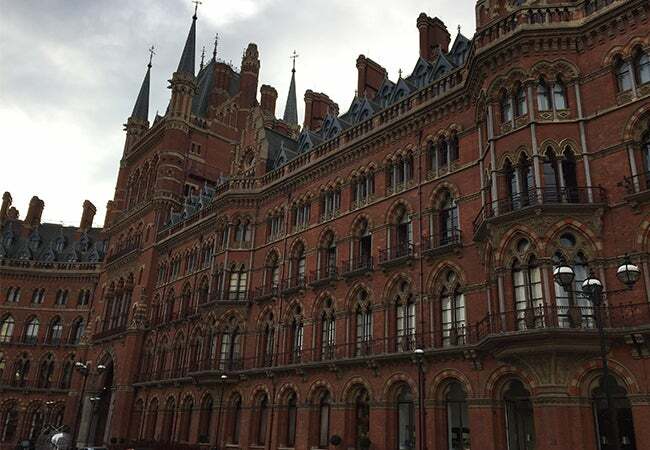 Not to mention, if you choose to make Urbanest your home for the semester, you will be within walking distance of King’s Cross station and St. Pancras station to feed your hunger for national and international travel. Academically, NYU London showcases a wide array of engaging courses. Whether you endeavour upon a semester of British Fashion study or opt for debates about the Prime Minister’s powers with Professor Scott Kelly, come to London ready for a rigorous yet rewarding academic culture. Each course runs once a week for three hours which is remarkably flexible for traveling and making sure you refine your understanding of the course material. As a political junkie, my favorite class is British Politics. Acquiring an understanding for the storied political system of a prominent country, particularly as Brexit negotiations carry on between the U.K. and EU negotiators, is invaluable class time. So far, I have been fortunate enough to travel to Toulouse, France and Brussels, Belgium. The former trip was a brilliant taste of what European travel is like. 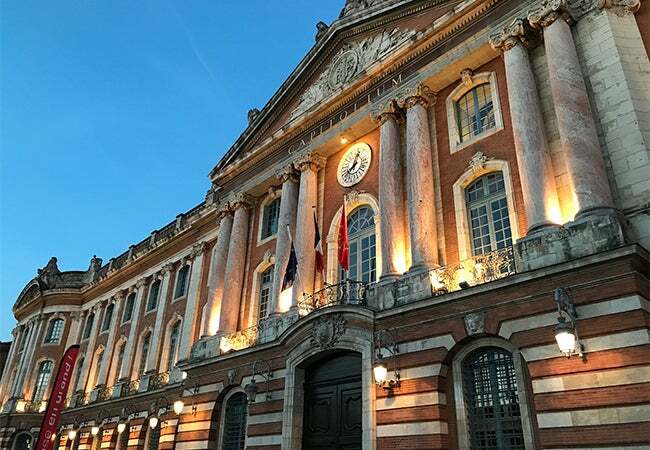 Admiring the grandeur of the Capitole de Toulouse and walking across the Pont Neuf bridge are two things I never imagined myself enjoying if it weren’t for the study abroad opportunities. Meanwhile, the Brussels trip was a BPE journey in which all of my BPE comrades visited the European Commission, participated in an EU parliament simulation game, and made authentic Belgian waffles while standing with awe at the magnificence of Brussels’ Grand Place. Thanks to the NYU London staff, we have also been given opportunities to experience benchmark British cities. My latest escapade was a day trip to Bath, just three hours west of London. Of course, we all admired the Roman-era baths that lie at the center of much of Bath’s city dynamic, but the city itself carries a rich history of monumental architecture and lush green fields. Finally, the most important piece of the study abroad experience not just in London is the people you meet. When traveling abroad, distinctions between Stern, CAS, Gallatin, Tisch, Tandon or Steinhardt dissipate under the united banner of NYU. It is hard to find a sense of community when perpetually running on the hamster wheel of New York City. Thankfully, NYU in London cultivates an environment conducive for community building among students. Check in next time for a trip to Cyprus, a England FIFA qualifier, and insights into student life on campus!